Kannaway may be just what you’re looking for. Here, MLM meets marijuana. But don’t misunderstand. These products won’t make you high. They help manage pain and restore health. Kannaway’s product line features legal hemp products through online retail and the MLM structure. And currently, there’s no other MLM (and few retail businesses) that can compete. Relatively young, the company started in 2014 and has flourished since opening, bringing in an estimated $14 million annually. 1. What does Kannaway sell? Kannaway sells CBD-based products, including tinctures, skincare, essential oils, clothing, and accessories. 2. What are Kannaway’s most popular products? Rev!ve Pro is their most popular product. Another winner is a recent launch, the Gold Premium Hemp Oil oral applicator, which helps you maximize your CBD intake each day. 3. How much does it cost to join Kannaway? To become a Kannaway Brand Ambassador, you’ll pay a membership fee of $54.98. You’ll then need to buy a Value Pack that ranges in cost from $249 to $1,849. 8. How many Kannaway distributors are there? Kannaway hasn’t made this information public. 9. What lawsuits have been filed? In 2015, Medical Marijuana, Kannaway’s parent company, filed a lawsuit against a Colorado lab, Stewart Environmental, for making false claims. In 2014, a suit was filed by CannaVest for trademark infringement. So should you get involved with these guys? Either way, here’s the full review on Kannaway. Balance 12 System is an entire regimen that targets whole-body health. It has numerous products in the line that claim to create a perfect healthy balance inside and out. The Hemp Vap is a line of flavorful e-cigarettes that contain no carcinogens, hallucinogenic properties, or nicotine yet costs a fortune. Kannactive will supposedly give you more energy and mental focus than most competitors’ products. Revive has BiBong herbal concoction to boost your health, immunity, longevity, and youthfulness, although that all seems too good to be true, and the sticker shock may cause serious health problems. Although it may sound quite appealing to make your own schedule with an MLM such as Kannaway, it is quite a daunting task to take on. There are many hours you just simply won’t get paid for. In particular, Kannaway is structured a bit different — you cannot earn on getting recruits for the company. They claim to have nine different ways to make money. Many of these nine ways are labeled with the word ‘bonus’ meaning they are not guaranteed and even worse, some are labeled with the word ‘team’ which means your bonus depends on the sales of team members. There is no way to gauge your earnings with this faulty structure. There is significant training for any individuals that are interested in joining the company; however, it is unclear if it is free or costly. Promotional material, Kannaway marketing website, and access to Kway University training are a few of the training avenues available to prospective marketers. Another perk is that Kannaway does allow customers to be just customers and not enroll as a marketing agent. 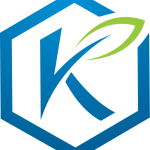 Kannaway has a few great aspects for both those looking to work for them and for the consumer. For marketers, Kannaway is the only MLM in the hemp oil industry at this time (different from essential oil companies like Pure Haven or Young Living). They have no competition which is good and bad. It’s bad because there is a small target audience that is willing to try a relatively new product with something that is often related to marijuana as an ingredient. This takes a bit of pioneering. Consumers who are interested in the product for their own personal use will find a truly unique product for their needs. With natural ingredients and extremely strict quality-control checkpoints, these products go to the consumer only after plenty of testing and purity checks. Another positive about the company is that they have an A+ rating with the BBB and since opening in 2014, there have only been a few complaints filed. There is a giant social gap that needs to be bridged about Kannaway’s main ingredient and claim to fame, hemp. The confusion of hemp with marijuana has proven to be a bit of a stumbling block for the company, especially since they are the pioneers of this kind of product. The good news here is that Kannaway is aware of the problem and is partnering with well-known athletes who can help educate the public about the benefits of cannabidiol. The bad part for anyone interested in selling the products is that you’ll have to face this misunderstanding head-on. You’ll have to educate potential customers and convince them that the products are 100% safe. In addition, the products are extremely expensive and target the wealthy. Unless you are in a community of extremely wealthy people who are interested in trying new and natural products, it will be a tough sell. Honestly, you may need to be wealthy yourself if you want to become a distributor for Kannaway. The $54.98 start-up fee isn’t outrageous, but the Value Pack will definitely set you back. Plan on making a lot of sales to recoup your initial investment. And finally, although the company has an A-rating with the BBB they are so new that they do not really offer many customer reviews. So in the long run, customers can’t be sure if they are buying a quality product or not. Kannaway is in the early stages of a quite lucrative natural hemp product business. The product lines are attractive to many lifestyles although the prices really target the wealthy. The products are strictly regulated and are legal under the Controlled Substance Act. They are available in all the United States and has a superb rating with the BBB during its short couple years in business. Could you make money with Kannaway? It’s possible, but I wouldn’t waste your time. Well written and fair. I have joined the Kannaway company for the use of the products and not having to go to a “seedy” dispensary to get CBD! I’m a disabled Veteran and definitely benefit from CBD! I am EXTREMELY grateful for the education also accessible from The Kannaway company. I don’t really care about the “MLM” part of it. If I get paid to represent a product that works for me that’s a bonus! Thats great. Wishing you the best. I can only recommend the energy chews and the detox bath. The rest is nowhere near the quality of the Pure Kana brand which is not an MLM company, not overpriced and no gimmicks. Worst company ever, they have stolen my money and did not issue a refund. have been calling since July 2017. Just think the industry (MLM, not cannabis) is flawed. I went in a different direction. I don’t know when this was written, but Kannaway currently has an F rating with the BBB. Still doing my research. Thanks for the update, Beth. My sister-in-law signed up for Kannaway and sold my 87 year old Dad $325 package He got 2 sprays about 6 ounces and energy chews and pain cream Not sure what her commish was but seems that my dad way overpaid for this product from this company. And not sure if at 87 years of age it can improve the quality of his life anyhow. Worst part is I asked her to cancel the order in advance of shipping and she never even return my phone call. Guess that commish must be good!